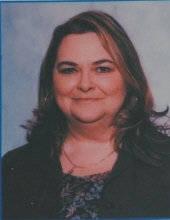 Evelyn Reanee Boozer, age 62, passed away on January 8, 2019, at home under the loving care of her Mother. She was a wonderful friend, daughter, sister, memaw and most of all a loving Mother. Evelyn was preceded in death by her father, Jim Ely; Best friend and Sister, Charlene Rogers. She is survived by her mother, Barbara Ely; children, Ronnie(Kim) Sexton; Candi (Chris) Jones; and Mitch Boozer. Grandchildren, Zach Sexton; Yasmine (Seth) Bice; JaRyan Jones; Leanna Bice, brothers, Mike (Cindy) Ely; Bill (Lena) Ely. Nephews and countless lifelong friends. Family will receive friends 3-4:30pm on Saturday at Click Funeral Home Middlebrook Chapel with a service to celebrate Evelyn's life to immediately follow. In lieu of flowers, memorials may be made to. University of Tennessee Veteranary School, In honor of her longterm career with the University. To send flowers or a remembrance gift to the family of Evelyn Reanee Boozer, please visit our Tribute Store. "Email Address" would like to share the life celebration of Evelyn Reanee Boozer. Click on the "link" to go to share a favorite memory or leave a condolence message for the family.